Forget about ever having cold feet again. We created a perfect symbiosis of beauty and warmth! 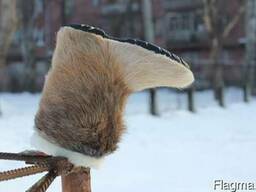 Our boots are made of double natural fur: goat's fur outside and stocking-thermos from high-cut dense sheepskin inside. They keep your feet warm even with air temperature below 50 C. They are also divinely beautiful! Sole: polyurethane with thick felt insole. To keep your feet warm and healthy, we sew boots on the anatomical sole. It does not squeeze the foot and does not violate the coronation. 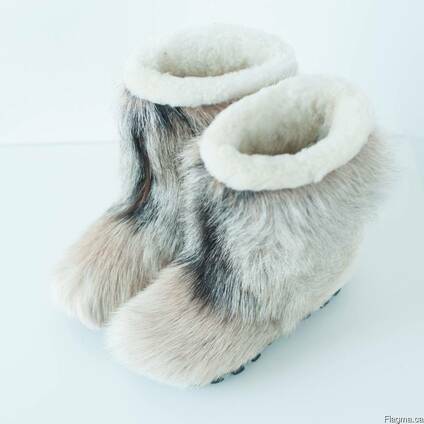 Attention: we make boots from natural unpainted fur. Therefore, each pair is unique both in color and in the length of the fur. In order to find out which shoes of your size are available now - write us in the message: 1) the size of your foot (close to the maximum) 2) the color you prefer (or attach to the photo message). Also mention your purpose of the purchase - for active walking or you have a static job or a hobby in the cold. 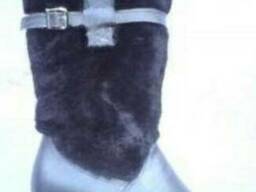 Along with the boots you will get a scallop for care and instructions how to keep the shoes in perfect condition. Important! The snow boots are designed for frosty weather, they do not like rain and slush. Sizes 36, 37, 38, 39, 40, 41, 42, 44,45,46,47 are available. Your order will be shipped from Europe (Ukraine) via airmail the same or next business day after payment is cleared. Delivery usually takes 14-30 business days.